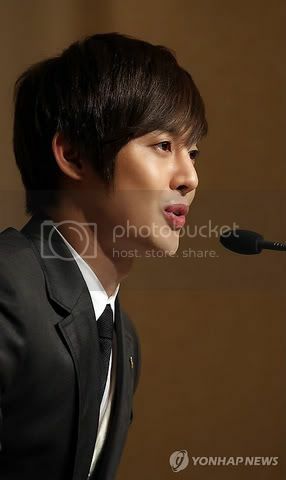 Hello﻿ I am Kim Hyun Joong and feel very honored to be here. Korea was supported (by UN) in 50's but now in my generation, Korea can repay. I think the previous generation served as the foundation for our generation's result. I am going to be the someone who can give out happiness throughout the world as a singer and actor. 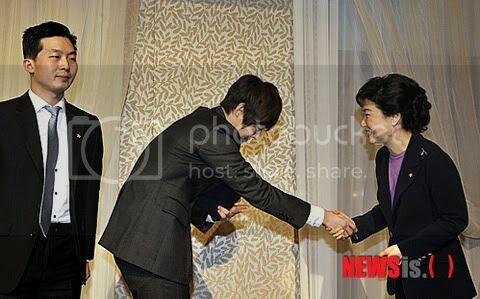 I am born in Korea and very grateful to be an honorary ambassador as a singer and actor. I would like to say that I wish to pray for world peace. 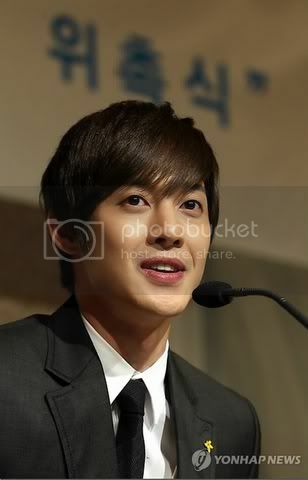 Credits : howlovelylala and KHJYES86 in You Tube. 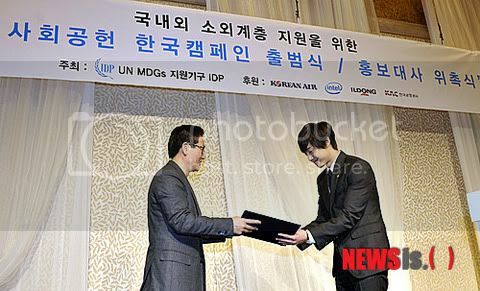 Oh this event reminds me of another event....when Bae Yong Joon was appointed Honorary Ambassador of Tourism .....and his appointment is until the end of 2012. So happy that Kim Hyun Joong is being appreciated, I'm sure with Hyun Joong appointed, more young people will be aware of social issues which not only south Korea, but the world, are facing currently. And hopefully, young people will be motivated to do something about those issues. I wonder what the letters/words spells ? ?